This module covers all shipping cases for e-commerce. By using advanced package management algorithms ensures cost-effective delivery for both you and your customers. 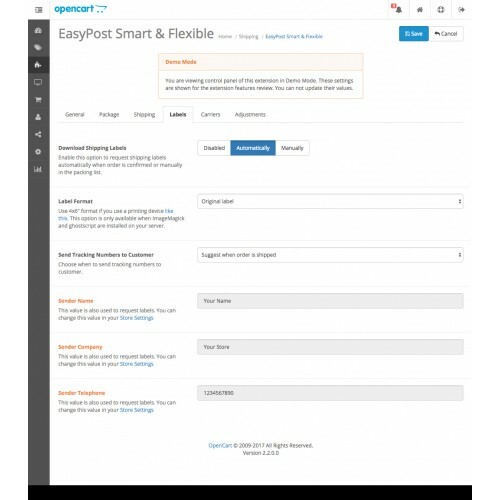 Configuration flexibility ensures exact fit for your business needs. LIMITED TIME OFFER: Buy this module for $45 instead of $70. Reviews in comments are very appreciated! 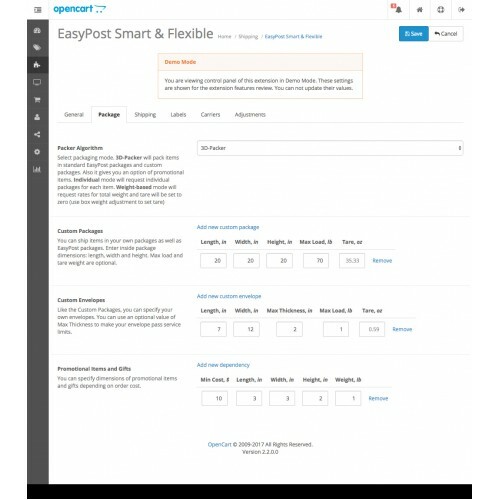 EasyPost aggregates rates from different shipping carriers. 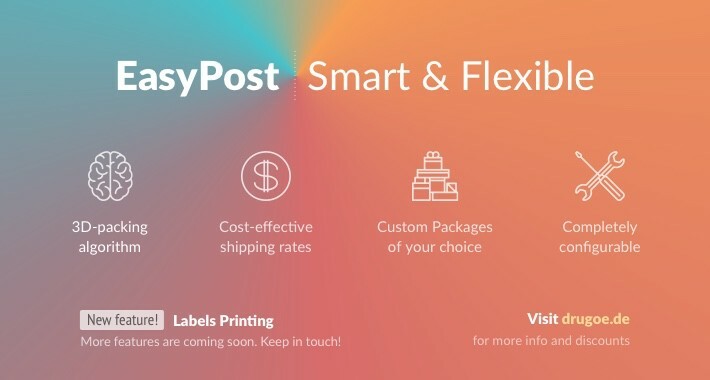 By just using EasyPost you can get rates from USPS, UPS, FedEx and many others! 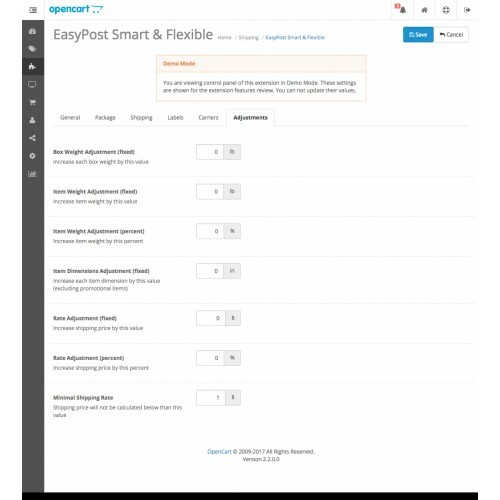 EasyPost Smart & Flexible is the first and the only module for OpenCart which provides EasyPost support. Provides several ways to get rid of service limitation by splitting orders into multiple packages. Uses advanced 3D packing algorithm to achieve cost-effective packaging (or individual packages if necessary). 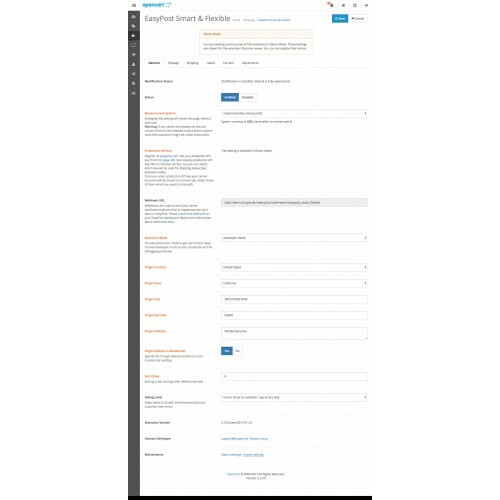 Configurable to use a set of custom packages, for each package you can specify dimensions, weight and tare weight. Uses unique packing algorithm for Envelopes. Labels Printing support. If enabled, generates printable labels for each order for the easiest shipping. Processing days are configurable. Can specify weekends and holidays as non-working days if necessary. Cut-Off Time is also configurable. Packing Lists. 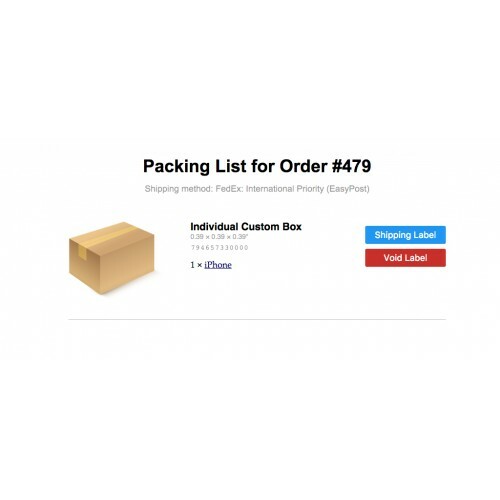 For each order packing list is generated and can be seen in Admin panel. 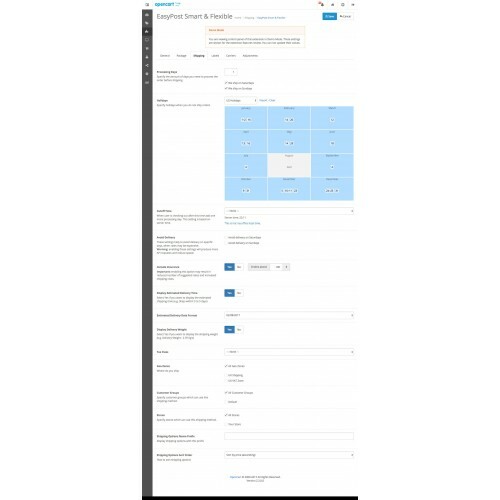 In this list you can find required box types and where to put each item. Packing is configurable to include extra gifts and promotional items. Weight, rates and dimensions are adjustable per item. Commercial Base and Commercial Plus rates support. Results can be sorted by price or estimated delivery time if necessary. Ability to restrict the extension by geo zone, customer group and store if necessary. Debug mode is configurable to detect and resolve problems. 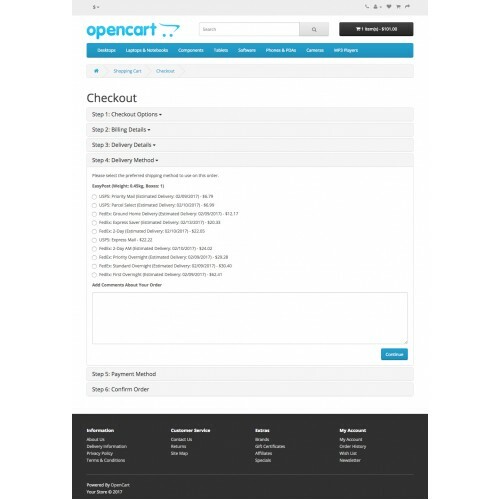 This module is compatible with OpenCart versions 1.5.4—3.0.2.0 and PHP 5.3 and higher.